Trader & Supplier of Industrial Machinery & A Series Suction Type Gravity Stone Separator. Our product range also comprises of Biomass Gasifiers, Sterling Generators and Silent Generators. We are instrumental in providing our clients a comprehensive range of A Series Suction Type Gravity Stone Separator. This stone separator is accessible in varied specifications as per the requirements of customers. 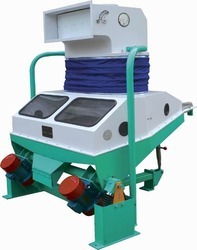 Offered stone separator is used for removing stone and other impurities from seeds like rice, wheat and barley. Use of swivel casters provides them easy movement. Due to its unmatched features and optimum quality, the offered product is highly demanded in the market. Fostered with a team of highly experienced professionals, we are offering our clients an array of superior quality range of Series Hammer Mill. This hammer mill is used for grinding and crushing purpose in food processing, mineral, glass & paper and plastic industries. This hammer mill is provided in different specifications & models as per the requirements come from customers. 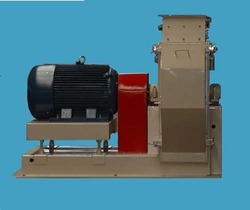 The given hammer mill is widely used in the food processing industries in roller flour mills. Looking for Industrial Machinery ?